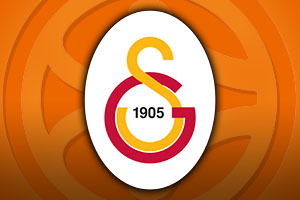 Spread Pick: Galatasaray with handicap +14 at 1.90 Over/Under: Over 158.5 1.90 Bet Now! This game sees the two teams pitting off against each other in a re-run of the play-offs from last season. 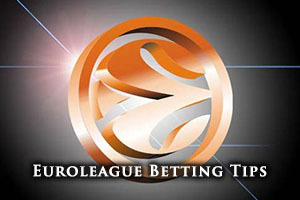 Barca triumphed 3-0 in that series, so if you are looking for a quick hint for your Euroleague basketball betting activities that could provide you with a good starting point. Given that both teams lost in their last outing, you may find that there is not the same level of freedom and expression as you may expect from these teams but as the game winds on, you can expect both teams to express a strong desire to win this outing. With the Catalan club being 5-0 in all games against Galatasaray, all eyes will be on Barcelona to see if this run continues. Barcelona have grabbed an average of 83.3 points per game in their Euroleague campaign this season and they hold a 12-4 record overall in the Euroleague. This is impressive but when you think that it contains a 9-1 record from the regular season, the 3-3 record in the Top 16 is not that impressive. There is a need for the Catalan club to get back on track in this game and if they do, they will be looking towards Ante Tomic. This is because Tomic has managed to supply an average of 11.4 points per game while also providing an average of 7.4 rebounds. Marcelino Huertas has also been in good form this campaign, bagging an average of 5.1 assists per game. Barca are currently fifth in the Liga Endesa with a 14-6 record with the Catalan club winning their most recent domestic game, defeating Iberostar Te. by a score of 87-79. Galatasaray have offered an average of 79.3 points per game in the Euroleague this season and the Turkish side hold a 6-10 record over the entire season so far. They had a 4-6 record in the regular season and they have a 2-4 record in the Top 16. Zoran Erceg has been at the heart of most of the positive elements of what the Turkish side have achieved this season, and he has provided an average of 16.7 points per game and an average of 4.7 rebounds per game. He has been assisted by Carlos Arroyo, who has offered an average of 4.5 assists per game this season. With a 10-8 record in the TBL, Galatasaray are sitting in fifth place in their domestic league. In their most recent outing, they lost 66-61 to Eskisehir Ba. Taking Galatasaray with a +14 handicap, at odd of 1.90 should be of benefit with both teams being fearful of another loss. Then again, both teams know how to score so for the Over/Under market, go Over 158.5 at odds of 1.90. These bets can be found with Bet365 and if you are keen to watch Barcelona v Galatasaray live on Thursday 12th of February, we can help you out. Bet Now!